Set up a 20m x 20m grid. Each player has a Soccer Ball. 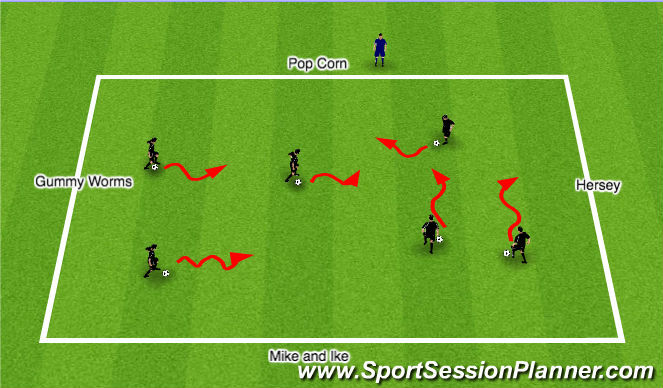 All players dribble within the candy store. The players explore the candy store by shouting out their favourite candies. The coach will ask players their favourite candies and name each side of the candy store. As the players dribble around the candy store the coach will call out a candy and the players have to run to that side of the candy store and perform a specific challenge I.E Toe Taps, Bells. 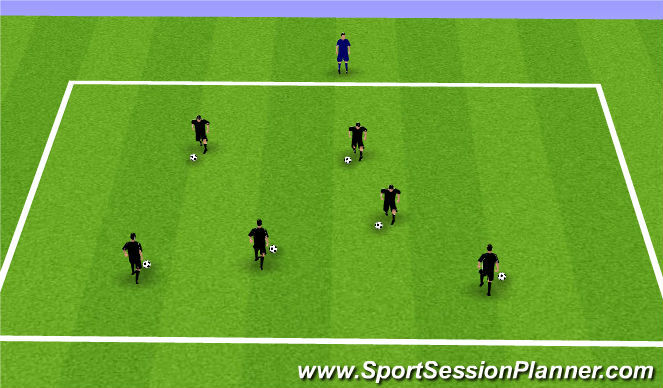 Each player with a ball inside the 20 x 20 area. 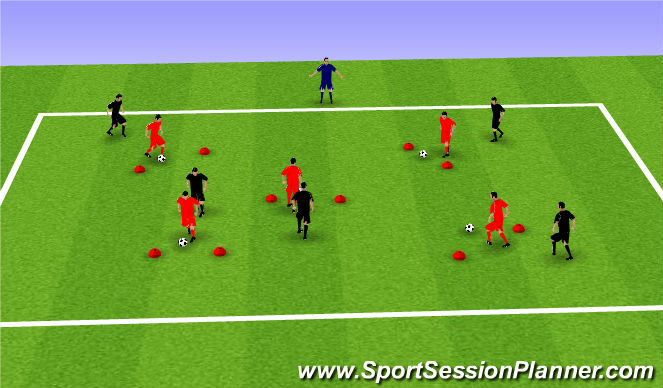 Players are paired inside a 20m x 20m grid with 1 ball per pair. When coach calls out "Attack" the player with the ball attempts to dribble through the gates. The player without the ball becomes the defender. 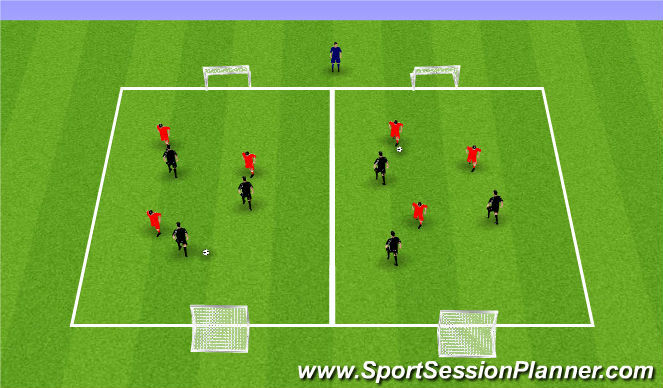 If the defender wins the ball he/she then becomes the attacker and vice versa. Players play for 1 minute and score a point every time they go through a gate. Players cannot go straight back through the same gates. After 1 minute players change partners. Set up two fields35 x 25 yds. Depending on numbers have 3v3 or 4v4 with retreat line.